Finally, Tecno has officially launched the most anticipated smartphones called Camon X and Camon X Pro. Both phones shared almost the same specifications and features. In this post, we will be looking at the complete specs of Tecno Camon X and Camon X Pro. 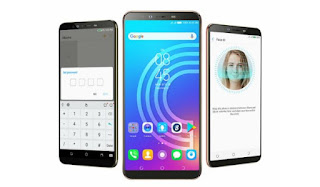 Both phones features the same operating system, battery capacity, design, screen size and processor but difference in terms of camera, display resolution, RAM, storage and price. The Camon X has two versions, 16GB storage and 32GB storage options, both with 3GB of RAM, and are bezel-less in their design. There's a 20MP clear selfie camera and a rear-mounted fingerprint sensor. On the other hand, Camon X Pro has 64GB internal storage, 4GB of RAM, 24MP clear selfie camera, face ID, fingerprint sensor and 16MP rear camera with ring flash. Hello entclass, this is a lovely post you got here. Tecno phones as a whole is very nice then coming down to the latest Tecno which is Camon X is superb. Tecno phones are good and reliable, these phones have gotten nice RAM, and ROM. But to say the truth, the battery capacity attached to these phones are very small.